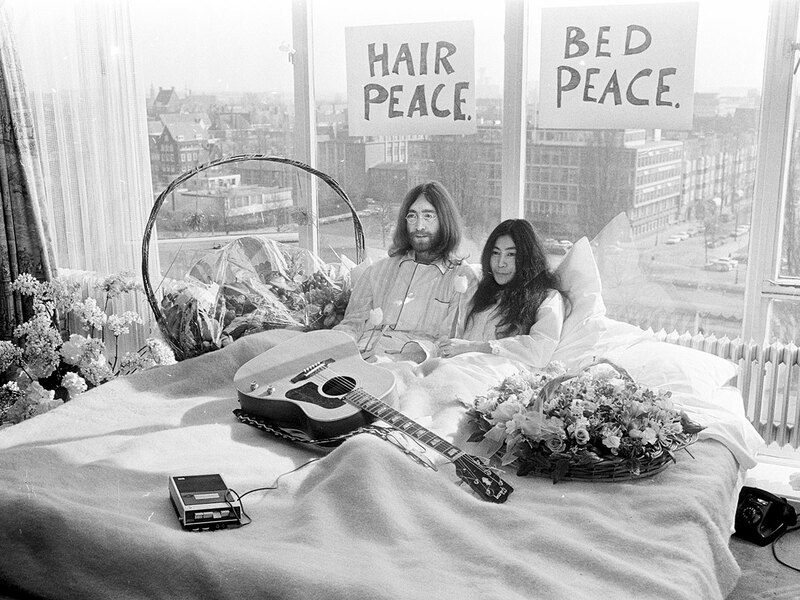 Amid flowers and self-made signs reading ‘Hair Peace’ and ‘Bed Peace’, the couple put forward a simple strategy for achieving world harmony: reject violence of all forms. In 2012, Ono released for free ‘Bed Peace’, a documentary about the Amsterdam bed-in and a second bed-in the couple held several months later in Montreal, Canada. “I’m sorry, no matter how beautiful your poem is, if you can’t share with people, it’s [expletive],” she said. To honour their memory, a white ‘Peace Tulip’ will be planted outside the hotel on Thursday.